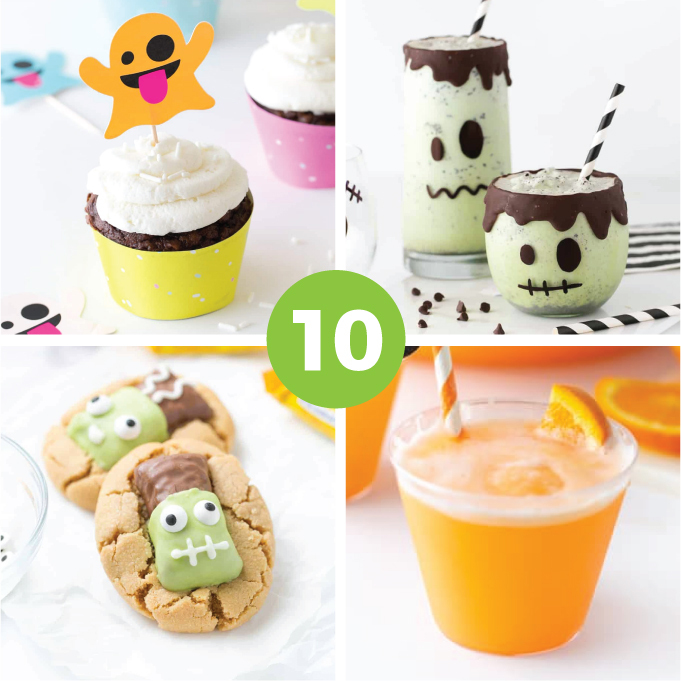 Looking for an easy Halloween baking activity to make with the kids? Instead of rolling (and re-rolling!) 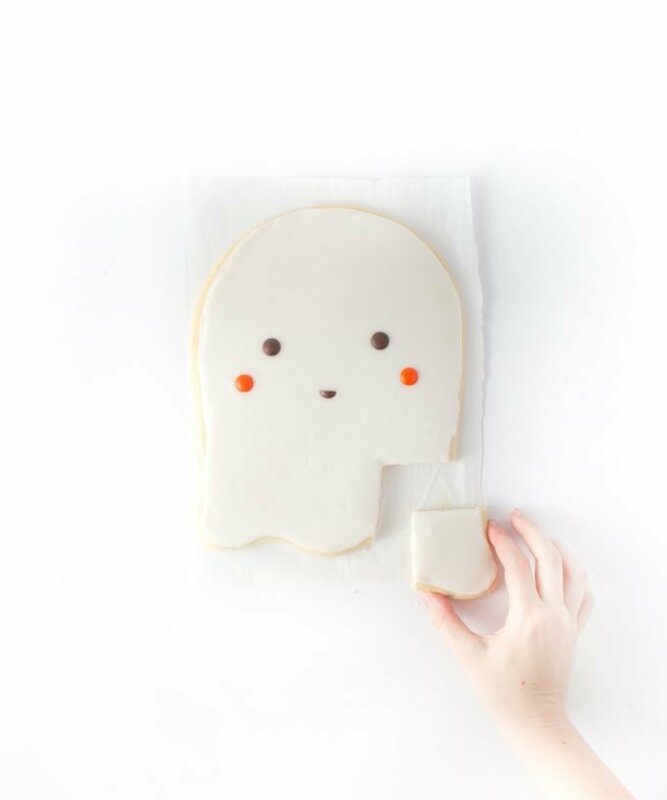 out 20 cookies, do it all in one swoop with this giant ghost cookie cake! 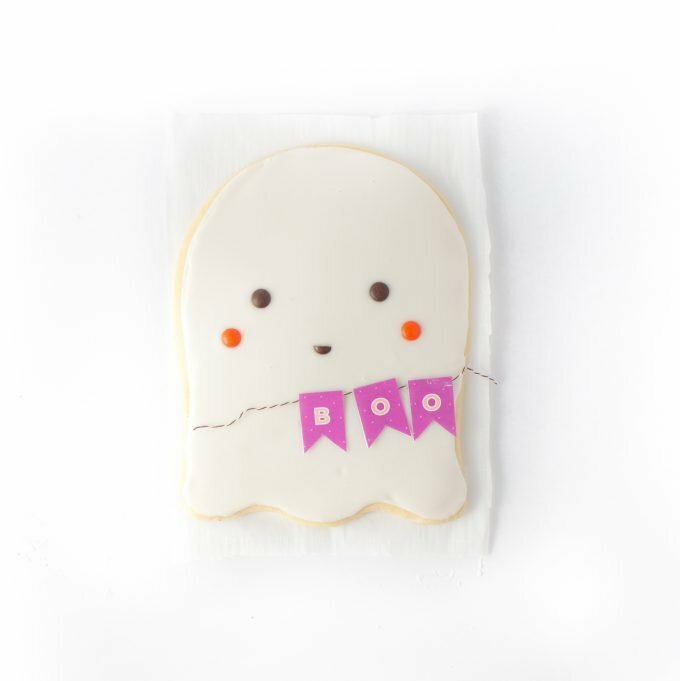 With some dough, frosting, and M&M’s, you can make the most adorable ghost cookie in under 30 minutes. Plus, I’ve included the printable template to make cutting a breeze! 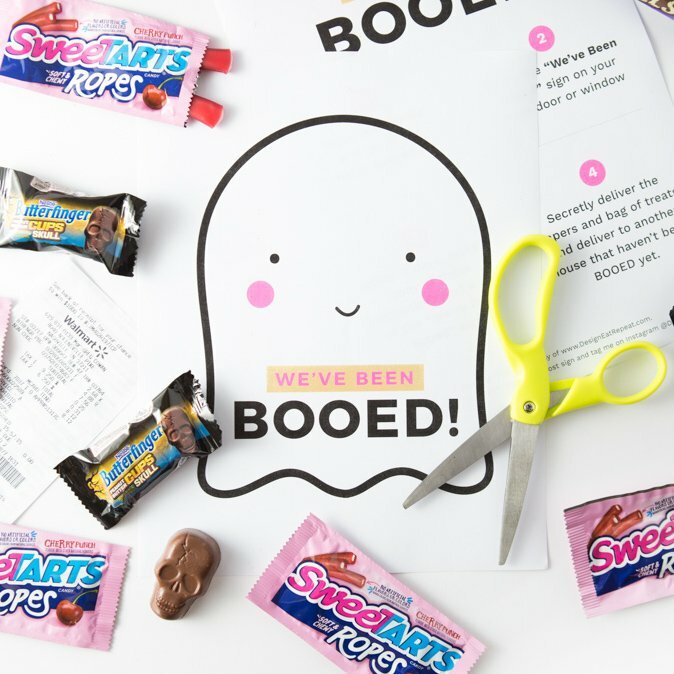 As soon as I made the ghost for the You’ve Been Booed printables, I knew I had to turn him into a giant cookie. 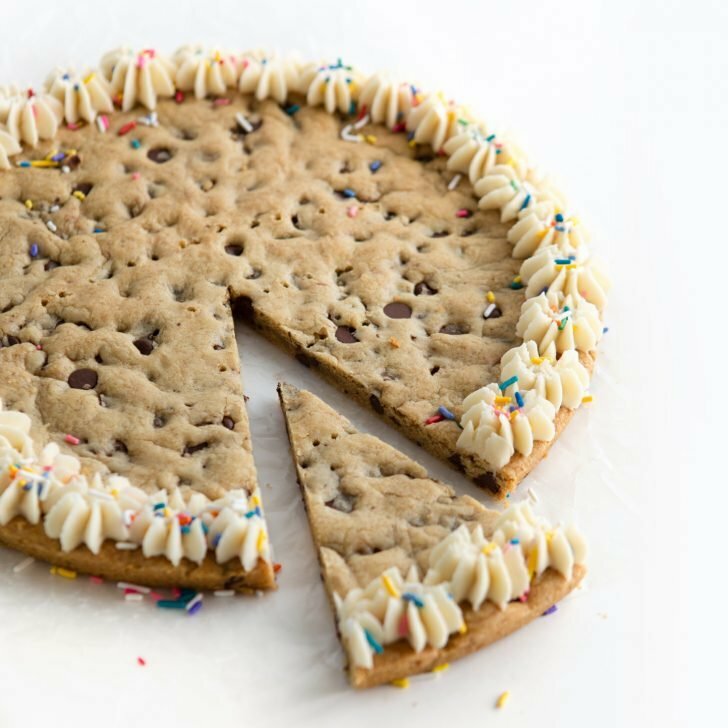 Great for parties or just as a fun activity to make with the kids, I’ll show you just how simple making this cookie cake can be! 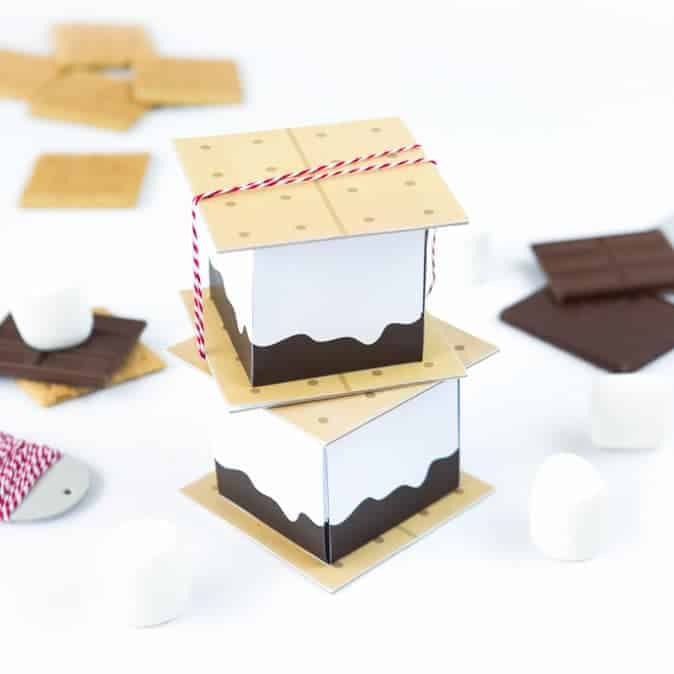 Seriously, if you can spread frosting…you can make this! 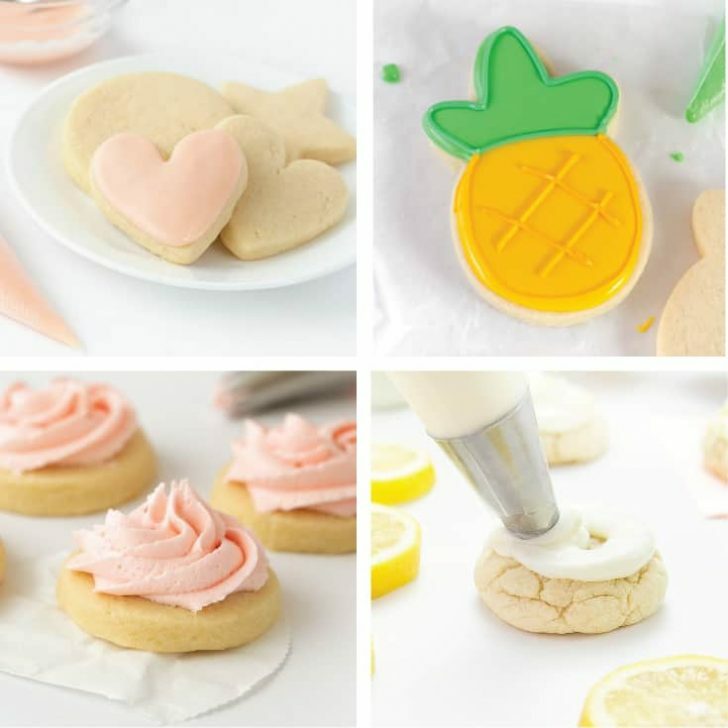 White Icing or Frosting (I used my easy sugar cookie icing) but you can use canned for ease or royal icing if you want it to completely harden! 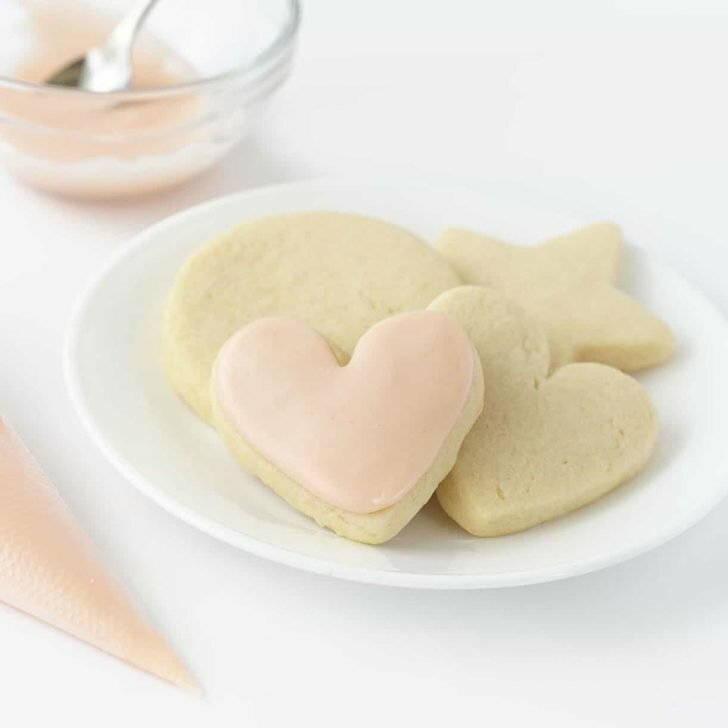 Mix your favorite cut out sugar cookie dough. 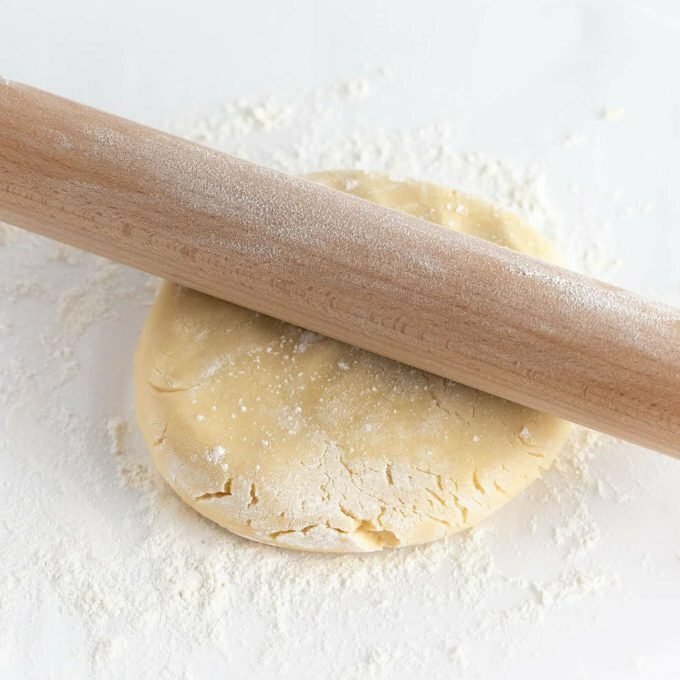 Roll the dough 3/8″ thick on a piece of parchment (this is important!). You want to roll it in a way where it spreads out to the size of a piece of paper. 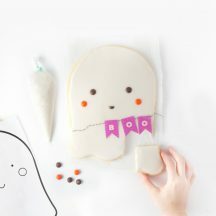 After cutting the ghost shape from the printable template, lay it on top of the dough and then use a sharp knife to trim around the edges. You want a thin, straight-edged knife for the cleanest cut (not a serrated). 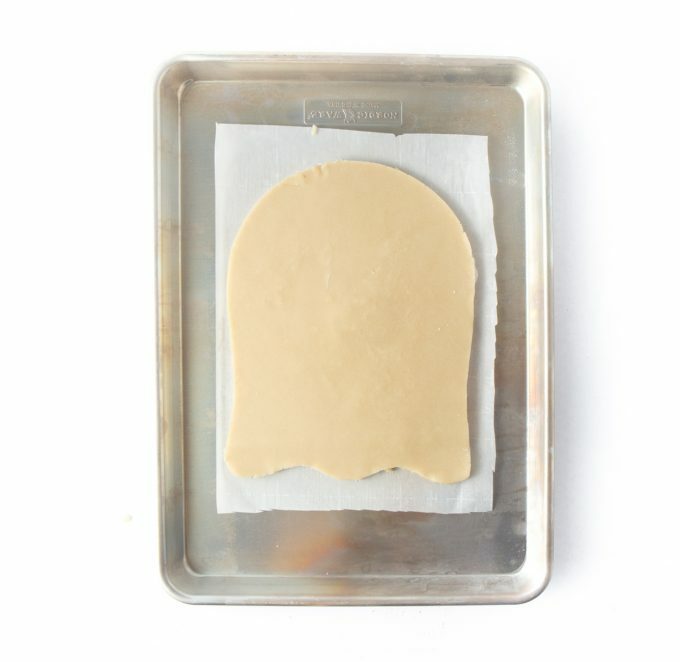 Once cut, carefully transfer the parchment (with the cut ghost) to a baking pan. 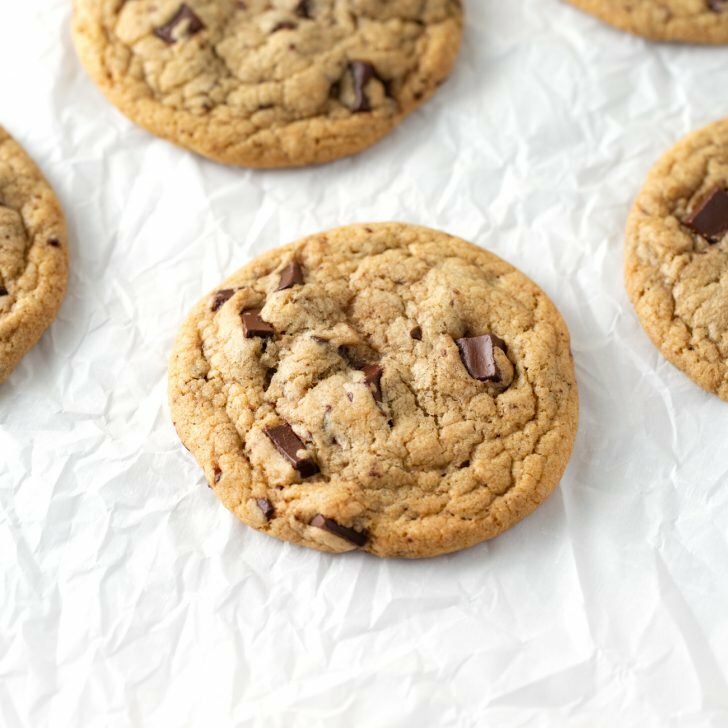 Bake according to your recipes instructions until center is baked through and edges are *slightly browned*. (If you’re using my recipe, it was 350 for around 10-14 minutes.) Baking time may vary depending on your recipe & how thick you rolled the dough. Once the cookie is completely cooled (place in fridge to speed it up), spread white icing on top. 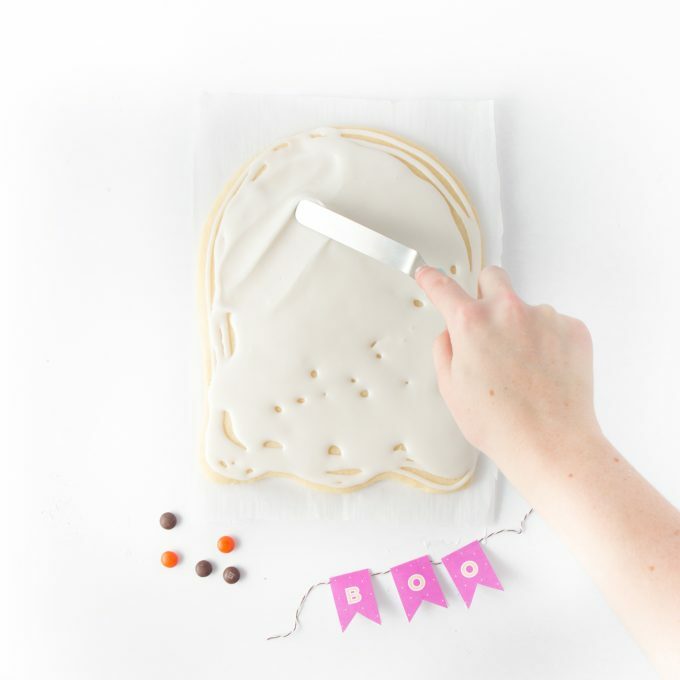 You can simply use a knife or if you want a more clean look, use a piping bag to first create an outline and then fill in the center. While the icing is still wet, place the 2 brown eyes and 2 orange cheeks on top. Use a knife to cut one more brown M&M in half and place on the mouth (you may have to sacrifice a few M&M’s before you get the perfect half cut). 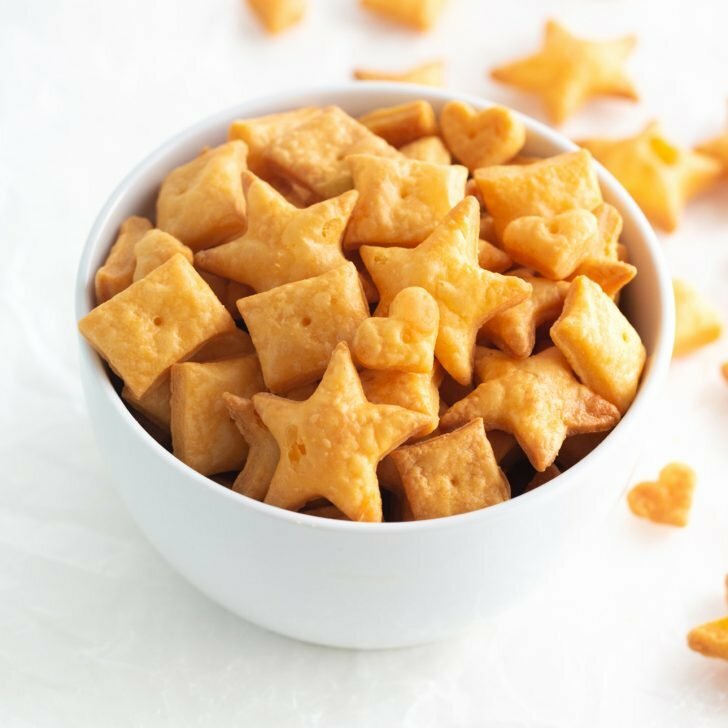 Step 6: Cut into Squares & Enjoy! Cut into little squares and let the little monsters attack! 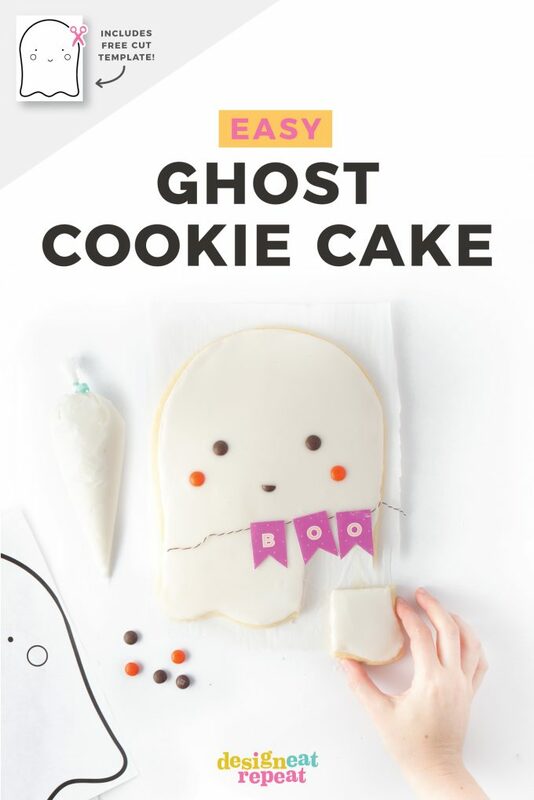 This ghost cookie cake the perfect treat for Halloween parties or just a fun weekend activity to do with the kids! 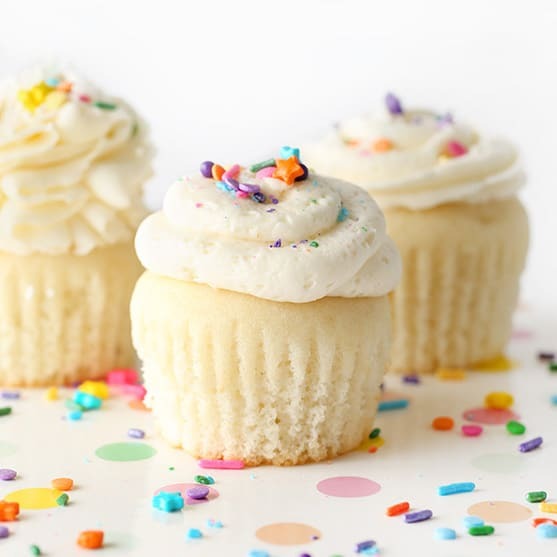 What frosting should I use? 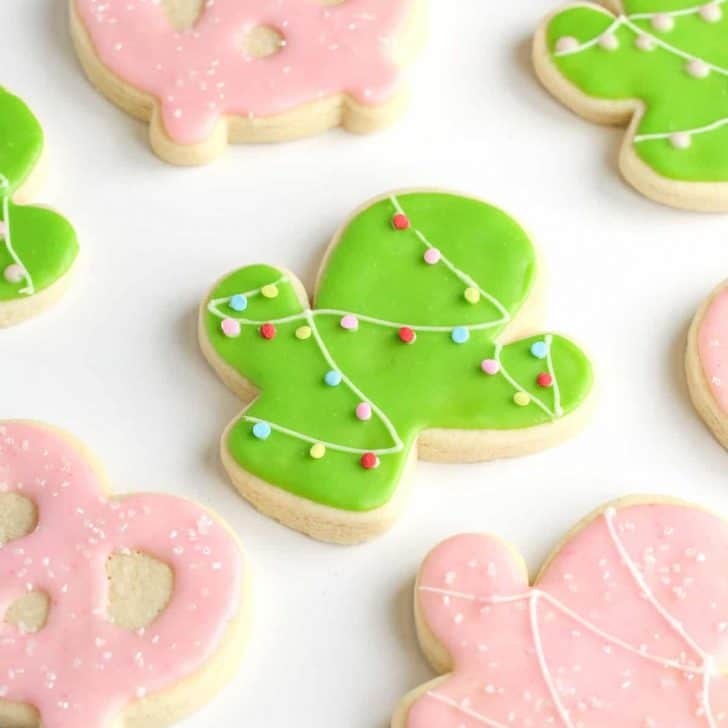 I used my easy sugar cookie icing) which sets but doesn’t get rock hard like royal icing. If you plan to ship this or want it to be completely hardened, I recommend using royal icing. 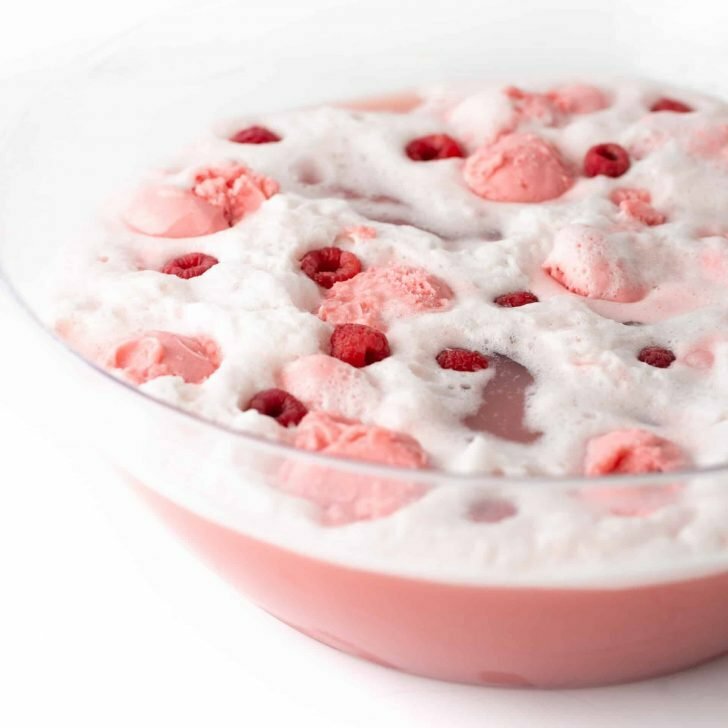 You could also just use canned vanilla frosting for an even easier project! Where can I get the ghost template and that banner? You can download that in the “what you need” section above! 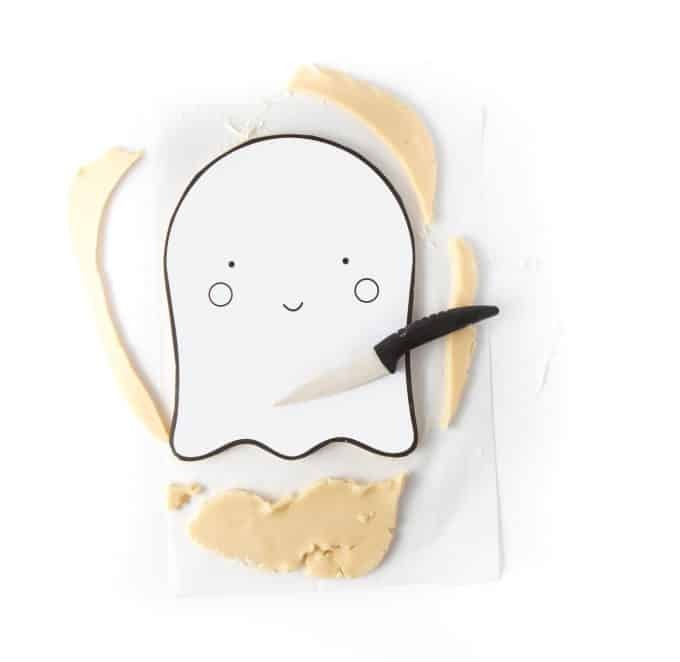 With some dough, frosting, and M&M's, you can make the most adorable ghost cookie in under 30 minutes. 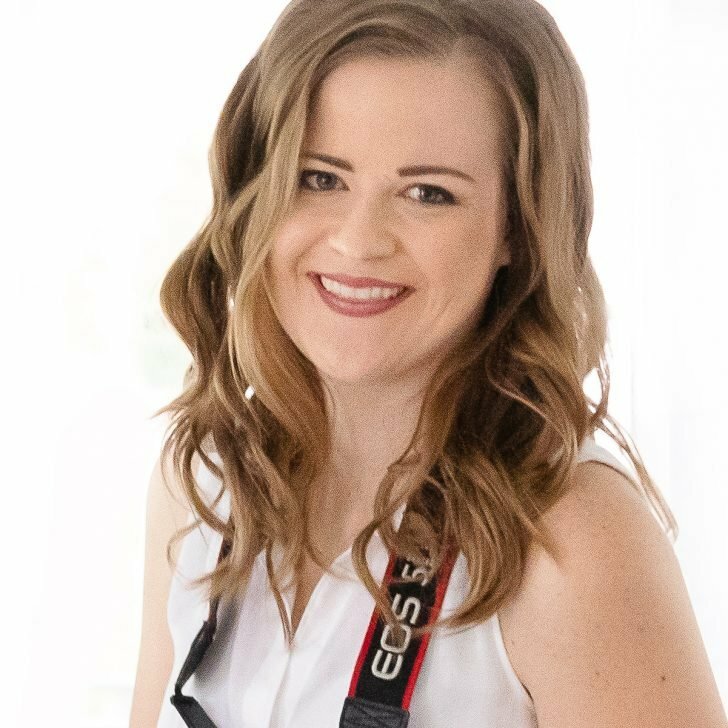 Plus, I've included the printable template to make cutting a breeze! 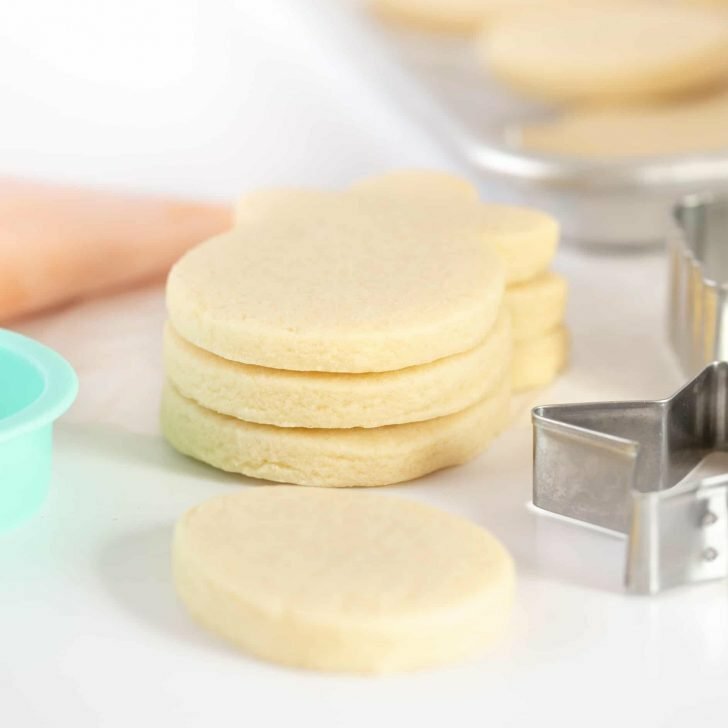 Mix your favorite cut out sugar cookie dough. Roll the dough 3/8" thick on a piece of parchment (this is important!). You want to roll it in a way where it spreads out to the size of a piece of paper. 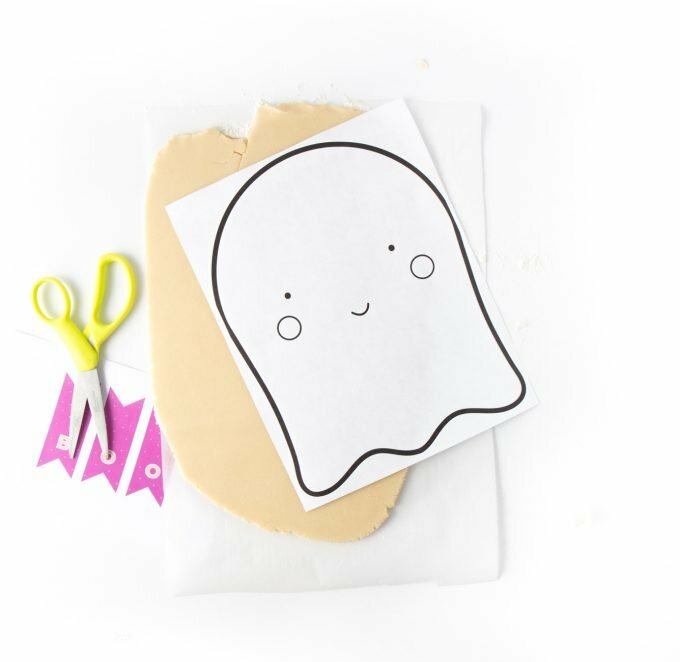 Once cut, carefully transfer the parchment (with the cut ghost) to a baking pan. Bake at 350 for 10-14 minutes or until center is baked through and edges are *slightly browned*. Baking time may vary depending on how thick you rolled the dough. While the icing is still wet, place the 2 brown eyes and 2 orange cheeks on top. Use a knife to cut one more brown M&M in half and place on the mouth (you may have to sacrifice a few M&M's before you get the perfect half cut). Allow frosting to set (if desired) then cut into squares & enjoy!